Whether you're installing yourself or hiring a pro, we make it easy to find the best products fast. Thinking about installing vinyl siding on your own? Get helpful tips and advice here. Get siding and installation cost information based on our latest contractor price surveys. 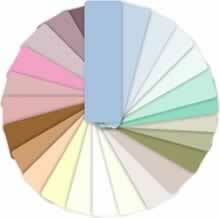 View color palettes from multiple siding manufacturers. NEW: Fiber cement siding colors. Get free information on siding installation. Or, save money and learn how to install it yourself. Check out our list of siding manufacturers and their contact information. For Canadian visitors, check out siding manufacturers in Canada. Review the performance benefits of insulated siding products from Certainteed™, Mastic™ and more. Learn how to shop for the best insulated siding. Many manufacturers will not sell to you as they only sell through contractors, distributors, or stores. Discover how and where to order vinyl siding. Read about how to clean vinyl siding. Check out accessories that will beautify your house and make it stand out! Read about what siding tools you will need for installation. Log cabin siding completes a rustic look for your home with new realistic effects and durability. Read reviews, cost information and buying guides. Compare the various cedar shake siding from multiple manufacturers. Fiber cement products such as HardiePlank® are rapidly growing in popularity, especially for premium applications. Check out fiber cement color guides, style guides and cost information. Save money by installing siding yourself. Check out our Siding How-To section for tips. Vinyl siding cost: Is spring the cheapest time for installation? Insulated vinyl siding: Is it really energy-efficient? CertainTeed is a leading manufacturer of building materials including vinyl and fiber cement siding products. Mastic's premium siding products and Alcoa's "best in industry" aluminum siding products represent the best in the industry.